Comment: Want carpet cleaning for wall-to-wall in one bedroom, and possibly carpeted staircase. Comment: West elm couch with chaise, stained with what I think are water stains (?) from trying to get others things off. Would like to get the whole couch looking like new. Comment: Carpets in 3 bedrooms and 12 steps need to be cleaned. this weekend, Total area is about 450 sq ft. Comment: I need cleaning of my dining room and living room area rugs. They are both about 8x10. Comment: Staircase, hallway and 3 bedrooms. Only chairs need to be moved for cleaning. Watertown Carpet Cleaning Services are rated 4.76 out of 5 based on 556 reviews of 27 pros. 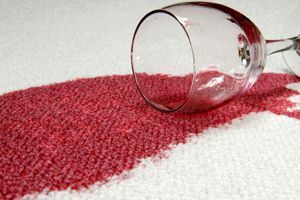 Not Looking for Carpet & Upholstery Cleaning Contractors in Watertown, MA?